Options for Radio and Transponders in Single and Dual gliders. 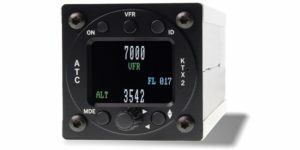 Dittel KRT 2 radio with 8.33 mhz spacing and KTX 2 Mode S Class 1 Transponder with built in ALT encoder and extended squitter for future ADS-B out capability. Two 57mm instrument’s mounted in the panel. Both certified now and both meet the requirements of class 1 controlled airspace. Future proofed as radio 8.33 mhz spacing and Transponder can be upgraded with a TSO’d WAAS GPS input. The radio comes in portrait and landscape styles for $60 extra as the pic shows and the Transponder will also come in these options as well in the future. 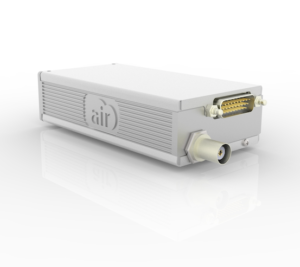 AIR Avionic Radio and AIR Avionic VT-01 Class 1 Mode S Transponder with extended squitter for future ADS-B out capability. Transponder is certified now. AIR Display certification due in June 2017 and Radio certification due later this year. Future proofed as same specs as the Dittel. AIR Avionic Radio and AIR Avionic VT-01 Class 1 Mode S Transponder with extended squitter for future ADS-B out capability. 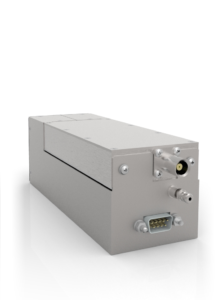 Can be both mounted remotely and controlled through one 57mm Air Display in the panel or Radio mounted to the back of the AIR Display and Transponder remotely mounted and controlled by AIR display. Transponder is certified now. AIR Display certification due in June 2017 and Radio certification due later this year. Future proofed as same specs as the Dittel. 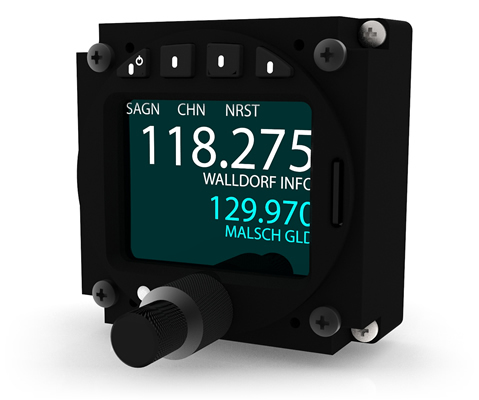 The Air display has the extra function of “Say again” which it replays the last received message and is also the Alt encoder for the Transponder. Dittel KRT 2 radio with 8.33 mhz spacing with back seat remote for Radio only and KTX 2 Mode S Class 1 Transponder with built in ALT encoder and Extended Squitter for future ADS-B out capability. Two 57mm instrument’s mounted in the front panel and one 57mm mounted in the rear panel. Both certified now and both meet the requirements of controlled airspace. Future proofed as radio 8.33 mhz spacing and Transponder can be upgraded with a TSO’d WAAS GPS input. No plans to do a remote for the Transponder from Dittel. AIR Avionic Radio and AIR Avionic VT-01 Class 1 Mode S Transponder with extended squitter for future ADS-B out capability. Both mounted remotely and controlled through two 57mm Air Displays in both panels or Radio mounted to the back of one AIR Display and Transponder remotely mounted and controlled by both AIR displays. Transponder is certified now. 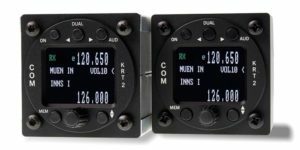 AIR Display certification due in June 2017 and Radio certification due later this year. Future proofed as same specs as the Dittel. Big advantage is you can control both radio and transponder from both seats. Mix and match. Use Dittel radio in front seat and VT-01 Transponder compact unit next to it with the AIR Display mounted in the back seat which can remote the Dittel radio and the VT-01.